Fooddy Blogger Template is a beautiful Food Blogger theme. With this theme you can create NOT ONLY food blogs, but any type of blog you want – personal, travel, publishing or tutorial blog sites. You can also use the theme as just a food / lyfestyle blog, online cookbook or recipe website. 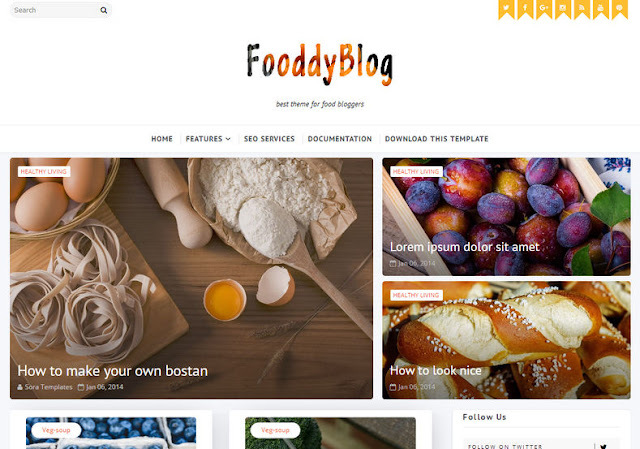 Fooddy Blogger Template provides excellent User Experience and Structured data markup, that will boost your SEO.